A tradition as ancient and beautiful as yoga comes with a certain level of implied etiquette and it is the sincere hope of any devoted yoga practitioner to see all his or her fellow yoginis observe the same unwritten proprieties. Be not only on time to your yoga class, be early. Make it a habit to arrive early. Be mindful even if you have pre-signed into class that your spot will be given away if you do not arrive 5 minutes before class begins to check in. Our doors lock at the beginning of class and are not opened up by loud pounding. When it comes to being on time, you are either on time or you aren’t. Everything else is an excuse. Experience a new perspective by holding yourself accountable and by respecting everyone for never arriving after class has started. Remember yoga class is often a very intimate setting and you may practice yoga closer to your fellow yoginis than you prefer due to lack of space or a crowded room. Please mind your personal hygiene. Wear clean clothes. Bring a clean mat and clean towel in. Good personal hygiene shows respect to our own self and body first and foremost so it should never be compromised but especially not when others may be subject to your poor hygiene. 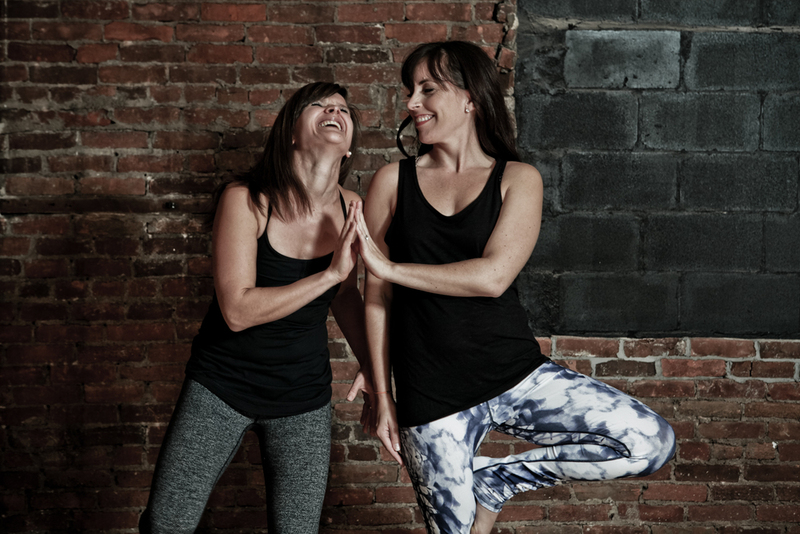 We love our yoga community and encourage people to reach out and make friends. Studio One has an exceptional environment to most other yoga classes when it comes to this. However, the few minutes before class are ideal for a short meditation and for setting an intention so refraining from too much chit-chat in the yoga room is not just good etiquette but also really beneficial for your state of mind. Please remain quiet through out the practice and we welcome fun socializing after class. Please Please do not talk while others are in Savasana. The teacher may leave you and fellow students to rest. This is not a time to talk to neighbor, please leave the room quietly before the chatting begins. Cell phones in the yoga studio are not an option. Real simple, don't bring them in. By decent, we really mean non-revealing, so please wear clothing that will not reveal your private parts in full (or partial) glory to your fellow yogini when you are upside down or in some twisted pretzel or drenched in perspiration (think white without a sports bra or underwear!). Attracting this type of attention in yoga is most definitely frowned upon, no matter how attractive you may be! Yoga classes are on hardwood floors and every one does yoga with bare feet. That means one thing: No shoes inside the studio! Please kick your shoes off in our designated areas in the retail space. Yoga is filled with deep breathing exercises in close proximity to others. Your perfume or cologne is probably lovely but not with a mouthful. Some smells can irritate or even create an adverse reaction with people. Be mindful. Observe good general hygiene but save the perfume for your post-yoga after-shower celebration! I am not of a quiet nature. I love noise and conversation and commotion in general but I leave that behind in a yoga class. When you enter, settle down quietly. Do not, please I beg of you, slam your mat down on the floor to announce your presence and jolt everyone meditating or relaxing. Do not fuss and move about a hundred times. Settle down quickly, greet your friends and relax until class starts. Respecting your yoga teacher comes in many forms. The easiest one is following the poses or a modified version of them. Do not do your own series in the middle of a guided class if you are bored or uninterested in the current pose. Finish the class and choose another teacher but during the class, respect the teacher enough to follow instructions and do so with an open mind. This is one where you will know and love when you have made friends with your yoga but it will take time. Until then, consider it a dedication to the finish of practice. Practice silence during savasana and however tempted you may be to leave and skip out, resist it. This is where your practice assimilates and the results are infused with a repose so well-deserving and so necessary. This last pose seals your practice with good intention and prepares you for the next phase. If you must (really must!) leave before the end, leave before people settle into savasana and be as quiet as a mouse! Make sure to thank your teacher before you leave. Classes can leave a yogi in all sorts of different moods, happy, emotional, relaxed, but take the time for gratitude. Save other feedback for later if you must. Let the thank you be the last thing you do before you leave class. If you borrowed a mat from the studio, please roll it up and place in a "dirty" mat bin, not the same bin you grabbed it from before class. If you created a puddle of sweat, wipe it with your towel. If you used props, put them back! Take all your stuff with you. It takes all of 60 seconds at most but it shows you respect others who will come to use the space and that you have good manners and can be trusted! Practicing cleanliness in public will always leave the best impression about you with others. What a thing to savor at the end of a yoga class! Work hard to take everything with you. We are a small studio and mats and clothes left behind will make clutter very quickly. We will get to know you, we promise. But until we are for sure about your name please stop into the desk and sign in. Sometimes you can sneak by and we may not see you. Also our yoga classes (generally) are not free. We are happy to keep credit cards on file or remind you when you only have a few left of your package so that the day to pay doesn't show up when you've "forgotten your wallet." Remember your payment arrangement without a reminder from the teacher.